There are always some issues where professionals are required to deal with all facets of the problem. Fences may look pretty straightforward, but they’re actually structures, and putting in a fence the wrong way can be a very expensive mistake. Slopes: Fences need to be stepped, and set properly to remain stable. It’s sadly all too possible for an expensive fence to fall to bits if not properly laid. Drainage issues: A site with runoff or sitting water issues can affect your fence footings. Water can destroy footings easily, and you’ll need to look at a range of issues to get the water under control. Security fencing: All security fencing is very reliable, but how it’s sited and the layout need some care. Site factors and access must be planned out in advance. Please note that remedial work on these big fences isn’t cheap. Access and space between fences and buildings: These are much more serious issues than they might look. A fence which restricts access can also block emergency exits and be very dangerous to install because there’s not enough space to work safely. These are just basic issues. When you bear in mind that each of them can cost thousands of dollars to fix, you can see why it’s a good idea to get some help to make sure you get things done properly. Do not commit to spending a cent until you’re sure you’ve got all these issues under control, and that installation isn’t going to provide “surprises”. Your fencing contractor will need to check the site and do some costing for proper installation. If you’re doing it yourself- It’s a very good idea to talk to your supplier before you lift a finger with any actual work. 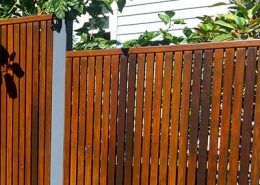 Some types of fencing are far better suited to particular sites than others, and your supplier will know all the local issues from termites to powerful sea winds which can wipe out a garden. When putting in pool fencing, you’ll need advice on compliance. Make sure you’re installing fencing which meets local government requirements. 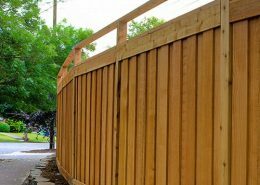 A good local fencing contractor knows these issues very well and will be able to help.